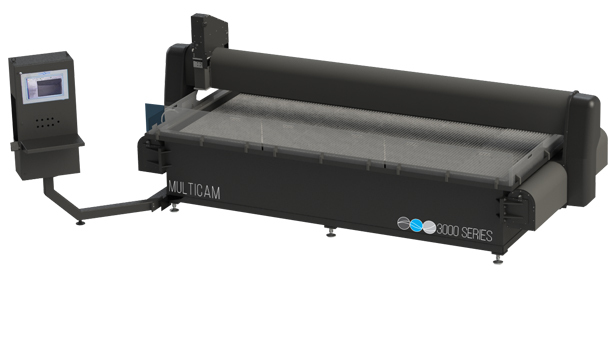 Need to make 5-axis cuts and keep your productivity high, all at an affordable cost? 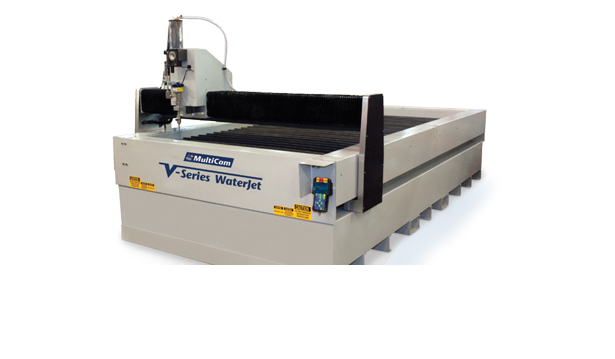 The V-Series Waterjet may be just the solution you’ve been looking for. With the V-Series, you can make pure water or abrasive cuts. To maximize your productivity, the V-Series comes with multiple heads so you can simultaneously machine parts. And, you can accurately cut just about anything you want. 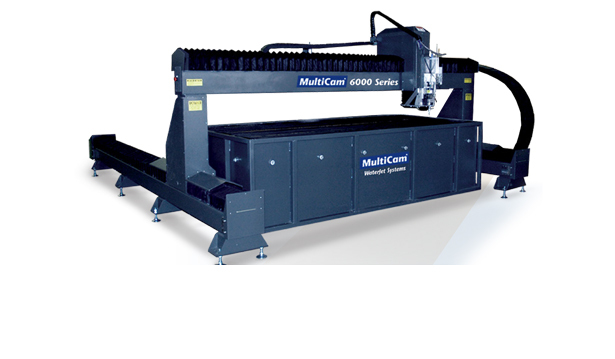 Cutting applications range from steel to galvanized metal, stone, glass, and plastic. You can cut for nearly any common application, including manufacturing HVAC equipment, making signs, or making automotive parts. A KMT NEOLine 40i Pump is an affordable solution that creates up to 55,000 PSI in operating pressure to make your cuts happen. Manufactured with the idea of requiring less maintenance, it’s also easily accessed when necessity dictates. The V-Series also comes with an optional closed water filtration system, abrasive removal system, or intensifier ranging in power from 30 HP to 200 HP. And, when you choose the V-Series, you also get Multicam’s reputation for amazing customer service. With more than 70 locations in our global network of experts, Multicam’s easy to access when you need help. More..